Floating Fish Feed Pellet Making Processing Production Plant is used to make dog food, fish food, cat food and other pet food with different taste and shapes.All the machines are easily operated. Accurate parameter settings make sure the food finished in stipulated temperature ,pressure ,humidity and time. 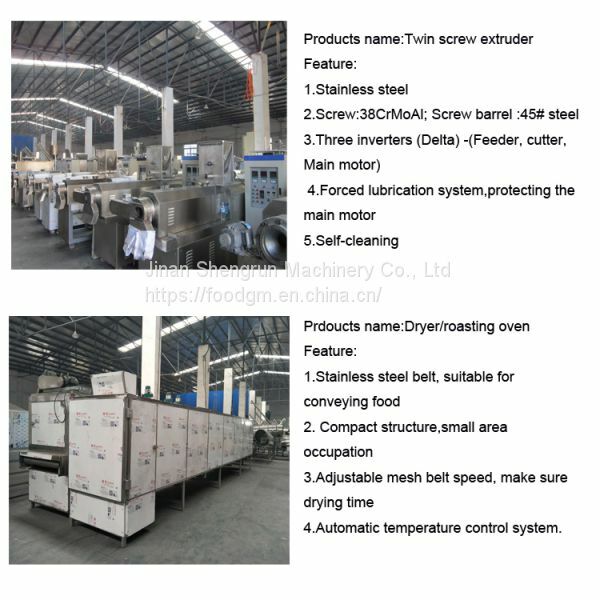 The configuration of the production line is flexible. 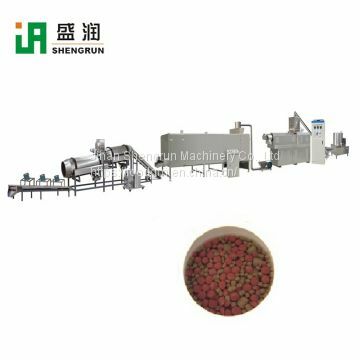 Different shapes of pet food can be made through changing the dies. We can provide the machine as your need. A. 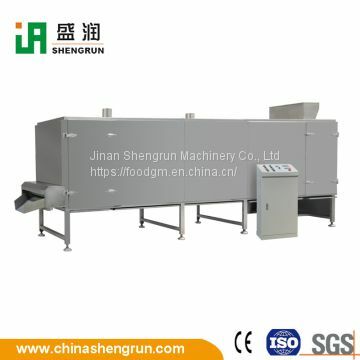 We will pack all necessary machines into wooden cases. 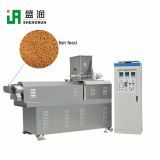 For drying machine, and heavy extruders, we will fix them in the container with very strong iron wire. B. If by LCL for small quantity machines, we will let send to QINGDAO port for loading. 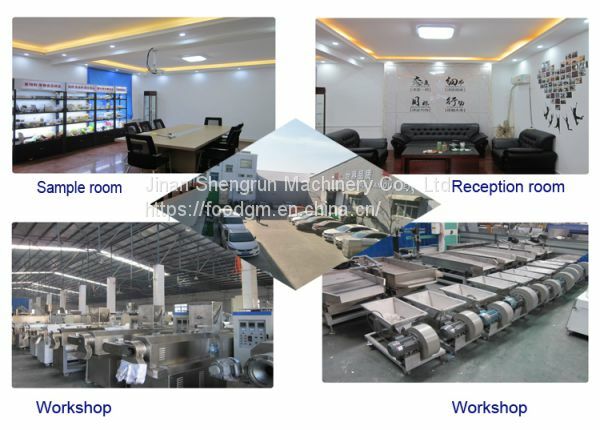 Jinan Shengrun machinery Co., Ltd is a factory specialised in the manufature of the extruded machine and ancillary equipments.We started the business 8 years ago and have accmulated much experience .There are professional technicians ,engineers, strong sales and after sales team in our factory. 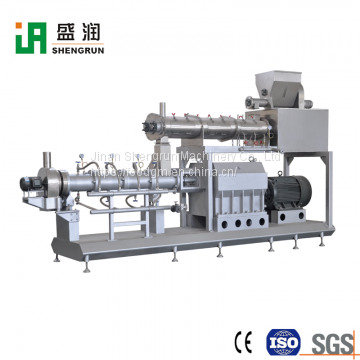 The machines have passed CE,ISO,SGS certification. 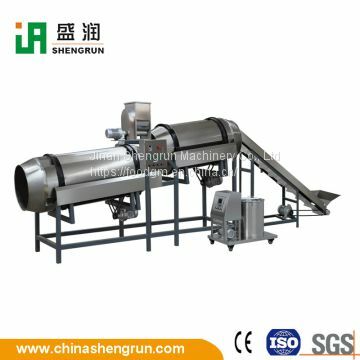 Good quality machines with competitive price and best sales service will be provided for you. Also,Many foreign customers have built a long term cooperation relationship with us. 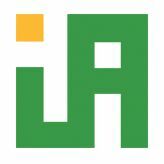 So,If you are interested in us, welcome to contact us !